From the moment you walk into our practice, we want you to feel comfortable, calm, and relaxed. Our homey Allen Park dental office has been designed to make you feel a sense that you belong here. Your care comes first in our practice and as a dedicated team of dental professionals, we work together using our skills and experience to make sure you feel that way. As a young man, Frank Stankiewicz was a man of many interests. Of them, the field of dentistry caught his passion. After obtaining his undergraduate degree from the New York University, he entered that institution’s College of Dentistry and graduated in 1992. He held a residency at King’s County Hospital in New York before opening his own practice. Dentistry continues to fascinate Dr. Stankiewicz. 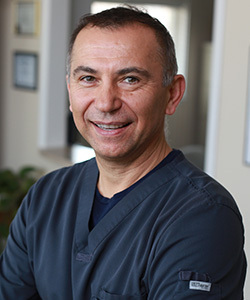 He is continually updating his skills in all areas of Orthodontics, Sleep Apnea and TMJ. Outside of dentistry, Dr. Stankiewicz enjoys spending time with his wife and 3 children and Mountain Bike Sports. He is fluent in Polish and Russian as well as English. Rayleen’s dental career got started in 1988, and she joined our practice in 1996. 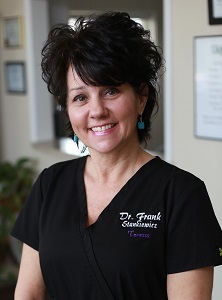 In addition to her dental training, she is a registered nurse and licensed massage therapist. Her favorite part of this position is developing such wonderful relationships with both the patients and her coworkers. Originally from the Downriver area, Rayleen is married to her high school sweetheart and has so many wonderful nieces and nephews. Her hobbies include traveling with her hubby at her side and spending time with loved ones. She also has a strong passion for animals and community outreach. 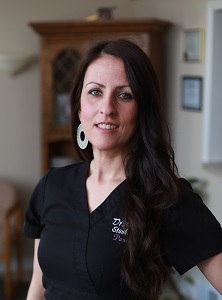 Paulina began her career in dentistry in September of 2008 at our practice, and we couldn't be happier about it! She loves that her job gives her the opportunity to help people every day, particularly those patients who only speak Polish. A native of Poland, she originally spent time in Hamtramck, MI before settling in Allen Park with her family of 5 and two dogs. Outside of the practice, she likes to spend her free time hanging out with her family and friends, doing anything outdoors, or going away to her cottage in Tawas City. Krissy has been right here at our practice since 2015, but she started the first 3 years of her dentistry career elsewhere. A native of Southgate, MI, she says being with her children is her number 1 hobby. When she can, she also enjoys getting outside with her dog and hanging out with friends. Kayla became a part of our hygiene team back in 2015. She really enjoys helping people improve their oral hygiene habits, as little changes often bring about big results. 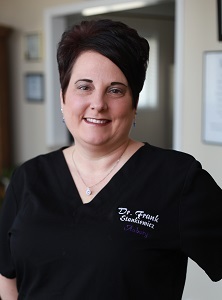 After completing her dental training at the University of Detroit Mercy, she went on to become certified in local anesthesia, nitrous oxide sedation, and CPR. She lives in Taylor, MI, and away from the office, you’ll find her playing softball, fishing, boating, and doing anything outdoors with her boyfriend and two dogs. Her life is about to get a lot busier as well, as they are expecting a baby girl in the near future! 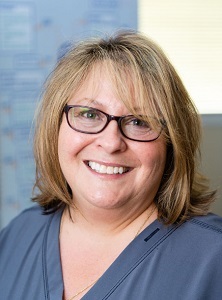 Aubury has been with our practice since 2016, and she brings over 20 years of experience to our team. 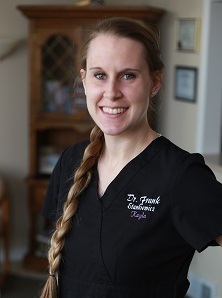 She truly loves getting to meet and help our patients every day, and she looks forward to continuing to work with the rest of our dental team. She is originally from Woodhaven, MI, and she is married with 1 daughter. Away from the office, you’ll find her camping, playing tennis, baseball, or indulging in a new Netflix series. 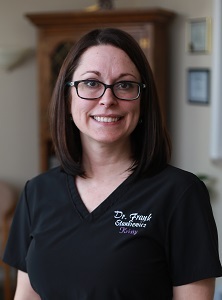 Teressa joined us in February of 2018, but she's been working in dentistry for 12 years and counting. She studied at Washtenaw Community College and is certified as an EFDA and in X-rays and CPR. She loves spending time with her wonderful team members and being able to improve the health of patients. Outside of work, Teressa has 2 grown children and hails from Trenton. Her hobbies include archery, fishing, boating, antiquing, and bowling. She is also a big believer in positive thinking and doing whatever you can to make a difference in the world! She volunteers whenever possible and encourages others to do the same.